Canopy: 10'x20' Head Clearance: 7' Maximum Height: 11' A fantastic market tent with incredibly strong steel construction! With special consideration for farmer's market requirements and standards, these tents feature: - Extra thick legs for double the strength - Waterproof, thick & heavy duty canopy - 600 Denier polyester fabric is waterproof and resistant to mildew and rot. 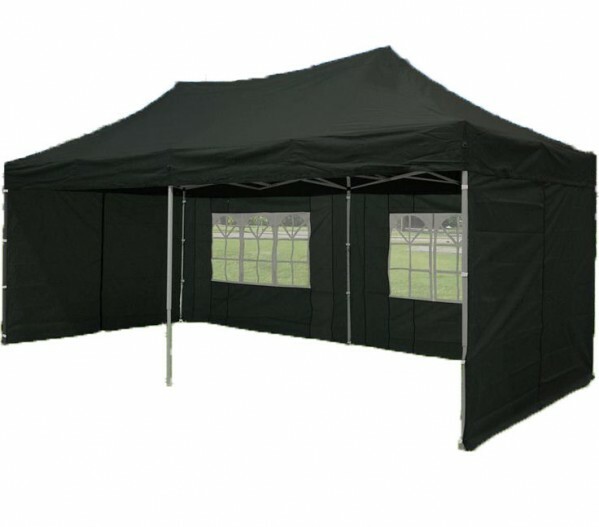 - Completely UV proof canopy - Incredibly easily 1-person setup and takedown. Collapses and expands easily. Fantastic for picnics, sport events, barbeques, festivals, outdoor markets, and more!